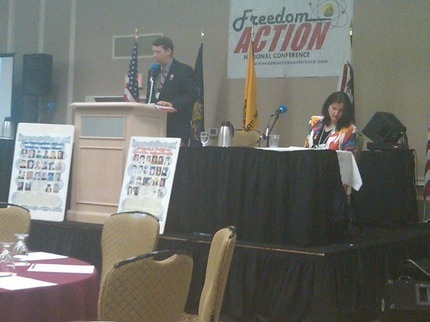 August 13, 2010 -- Jeff Lewis, of the FIRE Coalition, spoke about the governmental concept of "original jurisdiction" particularly as it affects the case of the Obama Justice Department against Governor Jan Brewer, in her official capacity. "The judges on American Idol have as much jurisdiction to hear the case against Arizona as the U.S. District Court for the district of Arizona does. So any rulings, injunctions, whatever that lady does -- Judge Bolton -- no offense to her personally, but professionally, she's in violation of her oath of office."